The research project investigates the application of DNA-labeled silica nanoparticles used as tracers in hydrogeology. 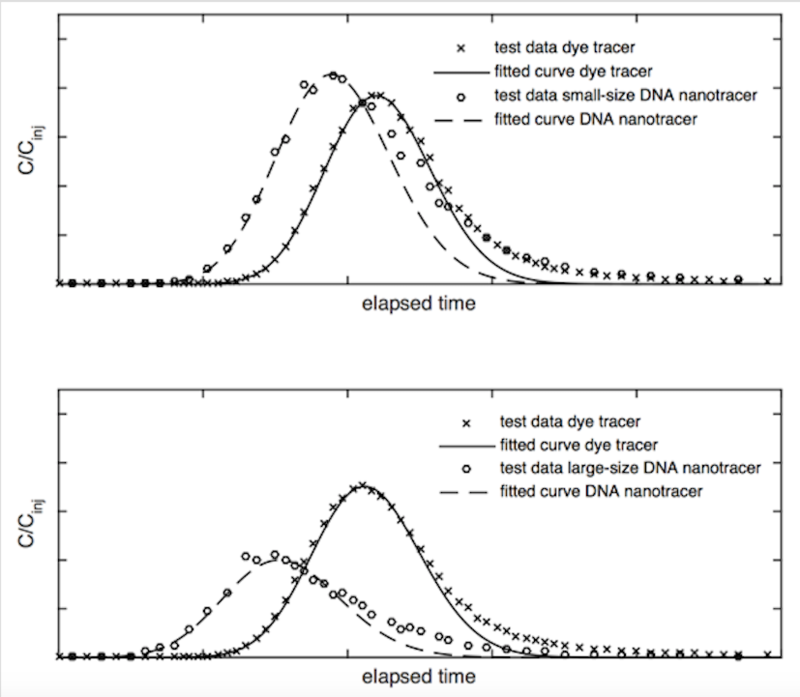 Evaluating and characterizing the novel DNA nanotracer (produced by Haelixa, www.haelixa.com), systematic short-pulse laboratory experiments using a sand column are conducted as well as a field experiment. The coding of the silica spheres allows the tracer to be suitable for carrying a specific label and a surrounding siliceous layer protects the DNA molecule against interaction with the environment (Paunescu et al., 2013). One benefit is that theoretically an infinite amount of labeled DNA nanotracers can be tested at the same place and at the same time. In this study, breakthrough curves of the DNA nanotracer and of the simultaneously injected dye tracer are analyzed and mathematically modeled. Specific modification of size and surface charge of the DNA nanotracer allows conducting experiments that demonstrate transport processes according to the particle properties. First results of the DNA nanotracer breakthrough curves indicate a similar transport behavior as it is commonly observed for colloids. 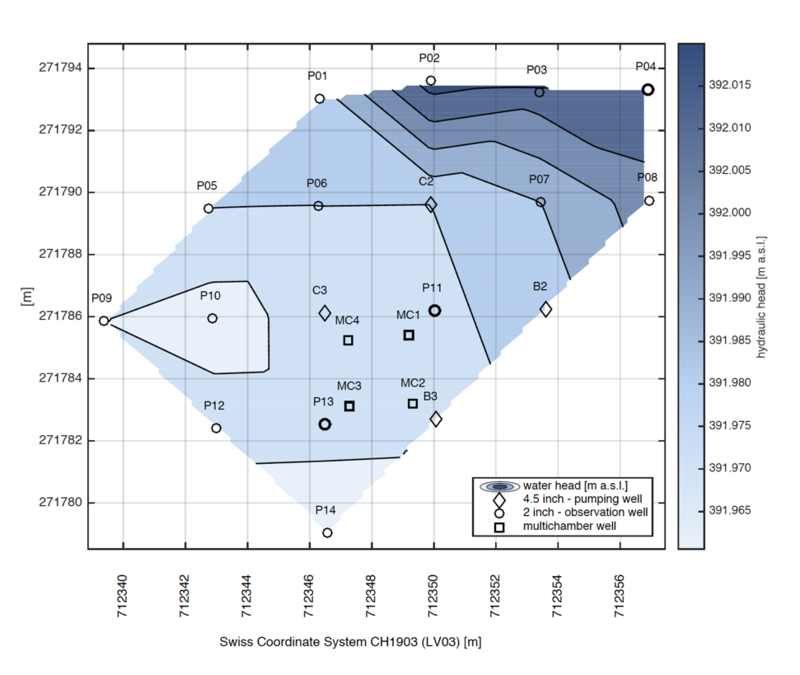 Furthermore, the DNA nanotracer is applied for the first time in an unconsolidated aquifer. The experimental field data is compared again to dye tracers and interpreted using tracer tomography. The outcome looks also very interesting. More results will follow soon.